What would be the impact on your business if you were able to improve your conversion rate just a little bit? You might be surprised by the answer. With just three numbers we will give you a breakdown of how website optimization could improve your bottom line. Any data you provide is kept confidential. 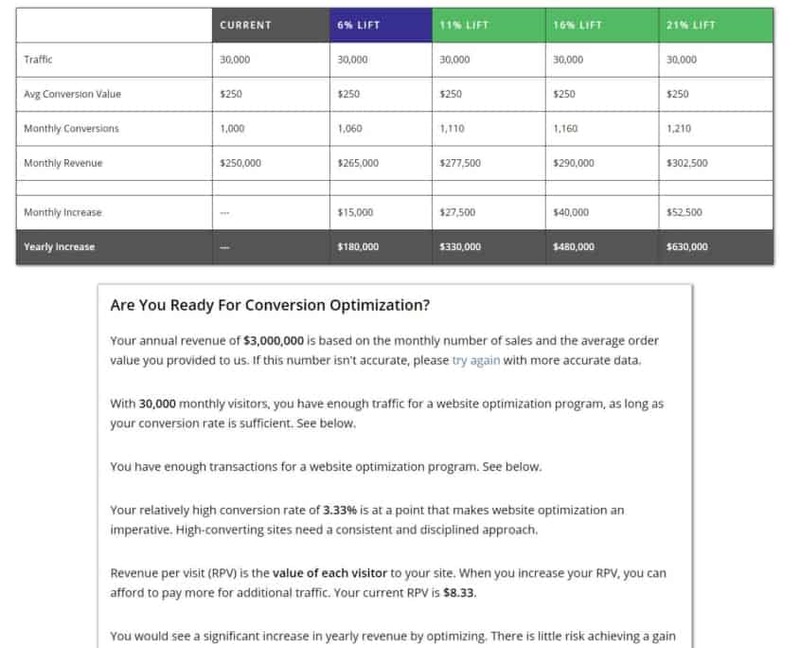 Thanks for trying out the Conversion Sciences Optimization Calculator!